The British poet was right. There is something stately about the tulip. In a variety of hues they command attention from among other early blooms as they open proudly to the warming sun. With verdant broad leaves and riotous colour they put on a spring fashion show, slender stalks supporting heads held high. This type of flamboyant display can be just what you're looking for when designing projects to include illustrations for spring. 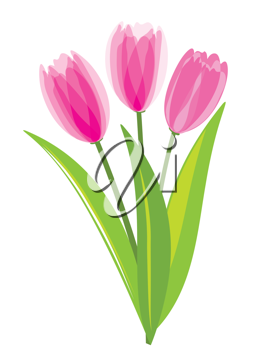 From flashy borders to striking backgrounds images of tulips define the season and bring colour and life to your work.